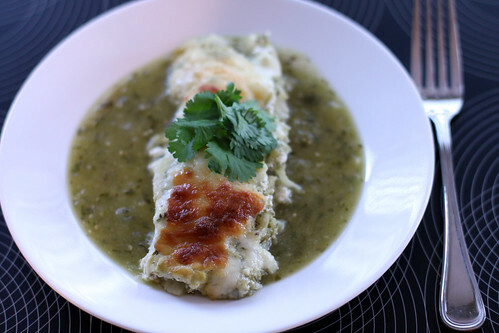 After seeing Chef Marcela make this dish on Mexican Made Easy, I knew I had to try this dish. It looked so fresh and used one of my favorite simple food to cook with – Costco Rotisserie Chicken. 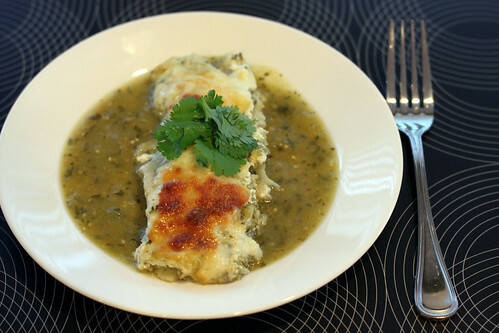 I also tried using Oaxaca Cheese for the first time to get a more authentic feel. To be honest, I can’t really tell the difference between Oaxaca Cheese and Mozzarella, but it tasted fantastic! For this recipe, I like the sauce to be spicy, so I did not remove the seeds from the chilies. 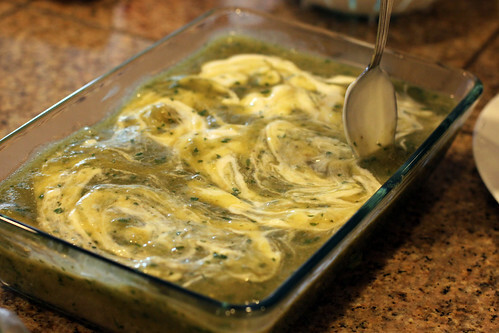 If you like your sauce less spicy, remove all the seeds and veins from the Jalapeno or Serrano peppers. 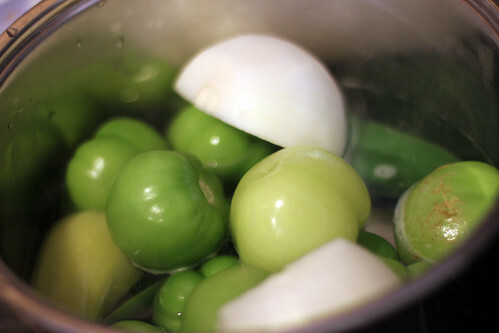 Fill a sauce pan up with about a cup of water, add tomatillos, onion, Serrano pepper, and jalapeno to a boil. Cover and boil for about 10 minutes. Transfer tomatillos, onion, chilies, and water from the saucepan to a blender. Add Garlic, chopped cilantro, cumin and blend until smooth. Season with Salt and Pepper to taste. I also added a pinch of crushed Mexican oregano for extra taste. Set aside. In a small frying pan, add oil and turn on medium-high heat. Fry tortillas for approximately 10 seconds or less on each side and transfer to a plate with paper towels to drain. 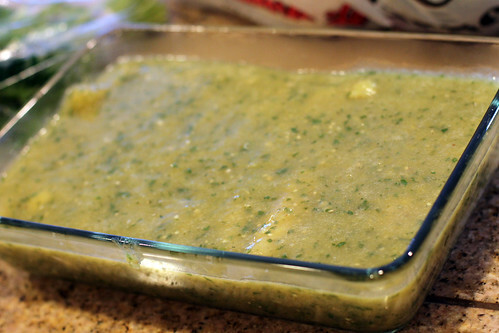 Spread some sauce on a 9×13-inch glass baking dish. 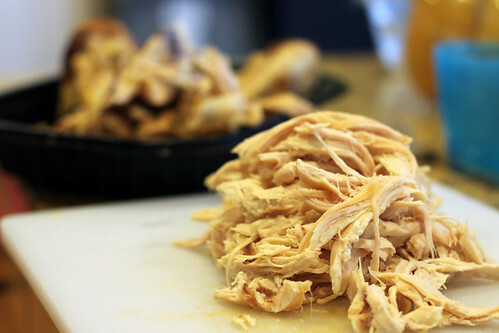 Using hands or fork, shred the rotisserie chicken breast and/or thighs. Take shredded chicken and put it on tortilla and roll it up. 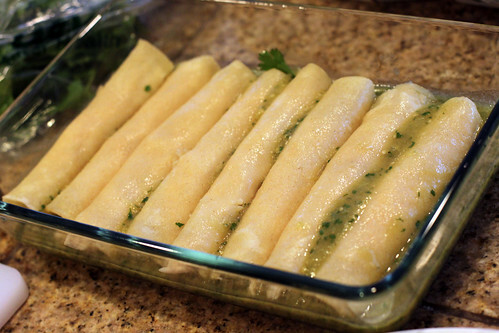 Arrange all the enchiladas on the baking dish until you can’t fit any more. Pour remaining enchilada sauce over the top of the enchiladas. 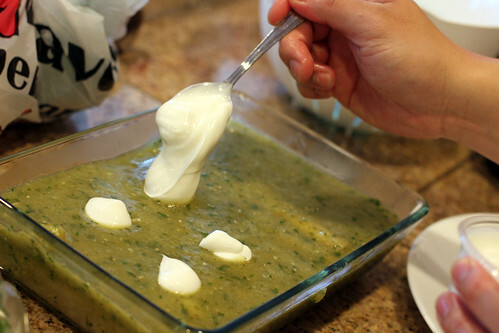 Drizzle Mexican crema (or sour cream) on top of the enchilada sauce and use a spoon to spread the Mexican crema. 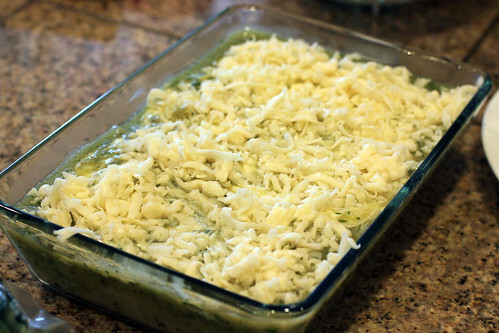 Sprinkle shredded Oaxaca cheese over the baking dish. 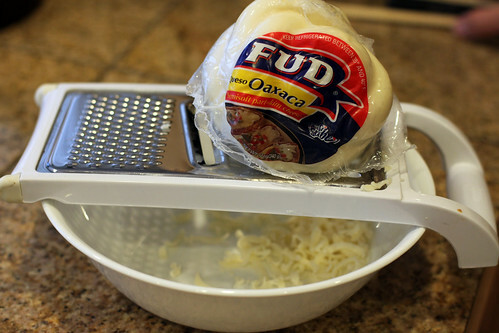 You can add more or less cheese based on your preference. 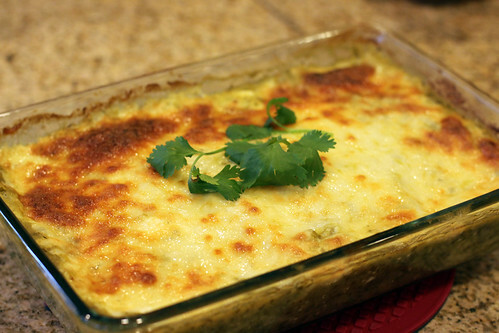 Bake enchiladas for about 25 minutes or until cheese melts and brown spots start to form.